As soon as warmer weather shows up, it’s inevitable: Each of us gets the urge to redecorate and revamp our spaces. This year, I pretty much ran full-speed-ahead into this “spring refresh” mode, and am in the process of sprucing up our dining room. 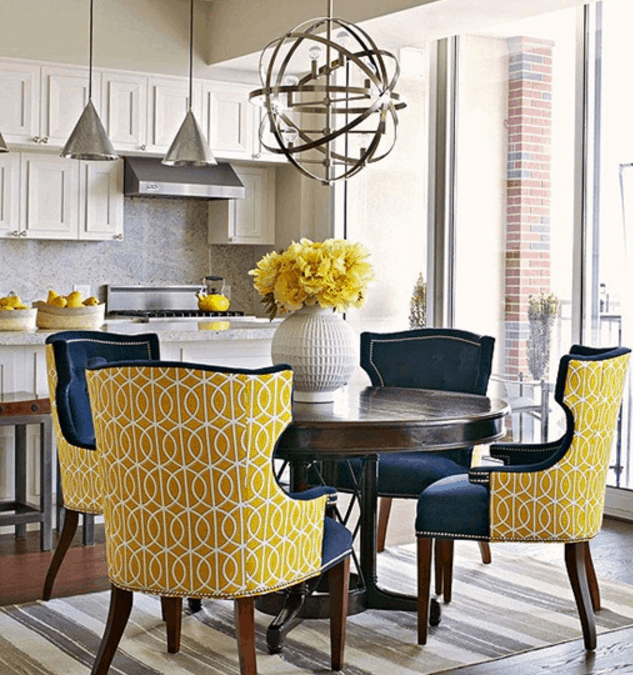 However, something that has always frustrated me about dining spaces is the painstaking task of finding stylish yet affordable chairs for a kitchen or dining room. I bet you can relate. Have you ever been on the hunt for something beautiful that won’t break the bank, only to come up empty handed? Yep. Totally know what that feels like. Sound familiar? I can’t tell you how many times this has happened to me. 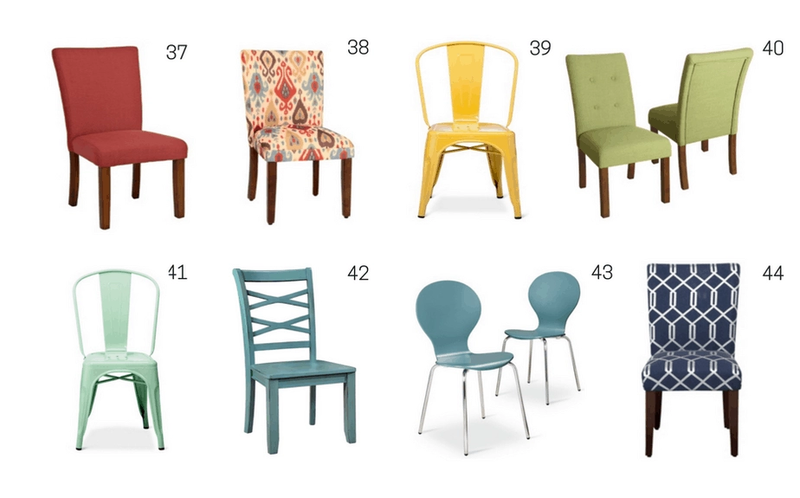 Someday I’ll be happy to splurge on designer dining chairs that are $500+ a pop, but at this point in my life — with two young children who like to make messes, not to mention a mortgage and lots of other bills to pay — I am not exactly in the market to spend a small fortune on a set of chairs. 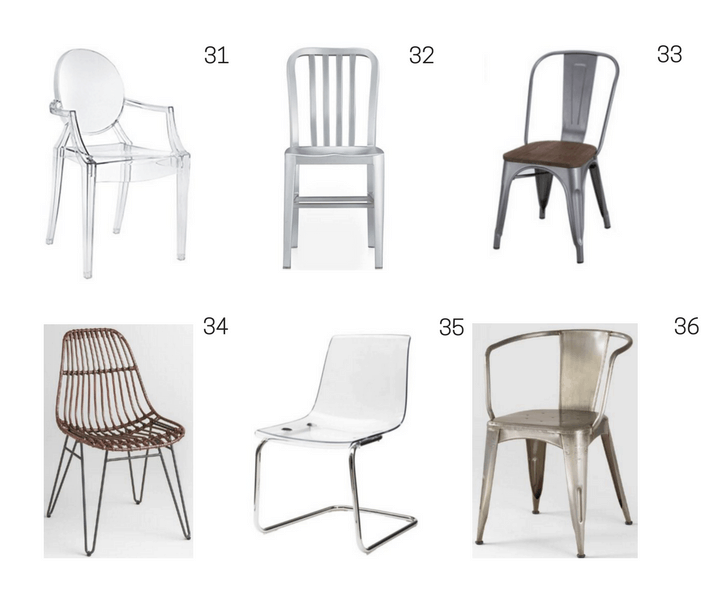 So in my quest for affordable chairs for my own dining room, I rounded up this list of 40+ dining chairs that are — wait for it — stylish AND under $100 each. YESSSSSS! And there are plenty of gorgeous options in every style and color, so no matter if you’re all about farmhouse style or prefer boho-chic vibes, I know you’ll find something you love. 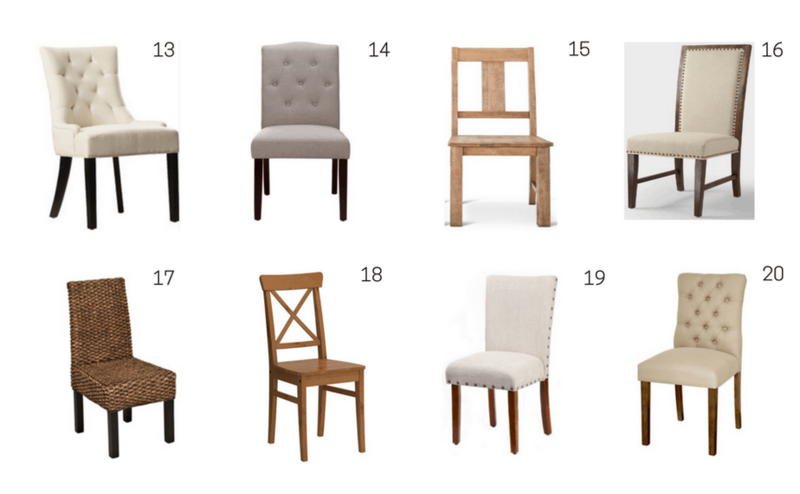 Without further ado, here are 40+ of my favorite affordable dining chairs, ALL under $100. This post contains affiliate links. That means that if you purchase something you love from the list below, I’ll get a teeny tiny commission because of that sale. It won’t cost you anything extra, but it WILL help me keep Kate Decorates up and running. Thank you for your support! For my full disclosure policy, click here. 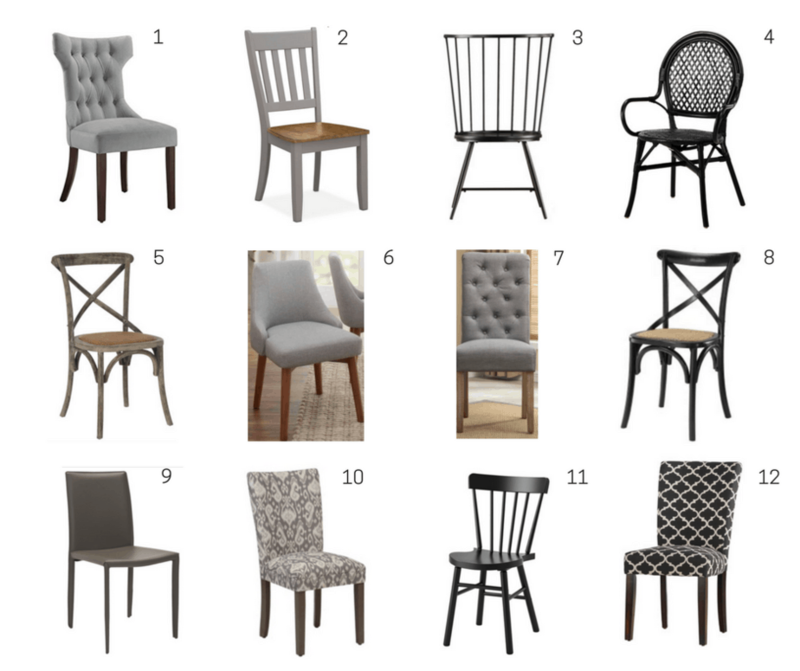 At the time this post was published, all dining chairs featured here were indeed under $100 each. I am not responsible for any changes in retailers’ pricing — sorry! Did you like this post? Wanna file it away for your next shopping trip? What a helpful roundup, Kate! 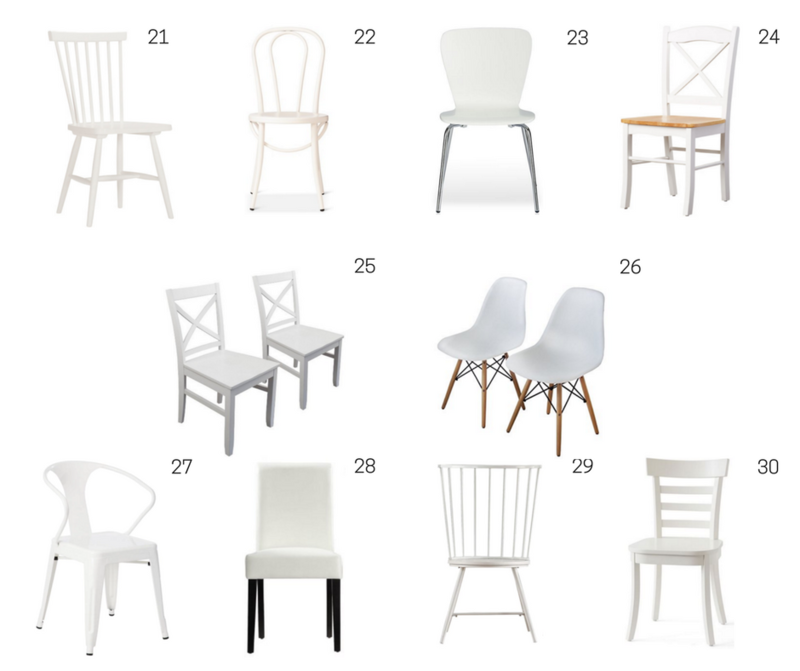 I love the classics, like number 21, and we have number 18 as our kitchen table chairs — they’ve served us well for many years. Great post! Thank you so much for the kind words, Elizabeth! Love 18 and 21 — you can’t go wrong with those timeless styles! Wow! So many GREAT affordable options Kate! Thanks for rounding these up! So helpful! Thank you so much, sweet friend! 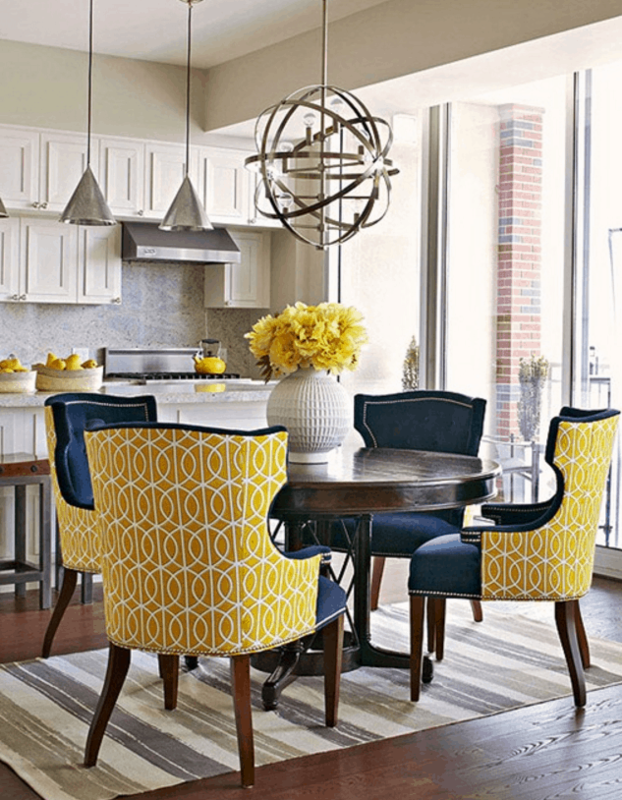 How are your dining room refresh plans coming along? I’m excited to see!